The Kairali Franchise Model is a sunrise opportunity as a Franchise because it is based on high and sustainable Return on Investment (ROI). Kairali nurtures budding entrepreneurs and educates them, that’s how our franchise profits. Kairali researches the best possible franchise model to suit each individual’s budget, be it a small franchise or a large scale franchise. Kairali Ayurveda Franchise Scheme is a fantastic service program that provides support to start an Ayurvedic Health Resort, Ayurvedic Treatment Center, Wellness Spa or a Luxury Spa. Kairali Franchise is an international brand which helps all its associates to achieve their financial goals & build a strong presence in the health and wellness industry. A loyal and ever growing clientele stands testimony to the high quality standard of Ayurvedic therapies. Unparalleled hospitality and selfless service have seen to it that every client and guest returns satisfied and rejuvenated. At Kairali, alternative therapies are the perfect remedy for modern day maladies, which are mostly stress related. Ayurvedic treatments have great relevance today as the change in eating habits and modern life styles have made even the very young prone to ailments like Obesity, Spondylitis, Diabetes, Arthritis and Premature Ageing etc. Ayurveda Health therapies relaxes and rejuvenates the body by detoxification. Regular treatment results in physiological and psychological well being. The natural ingredients used in the treatments result in increase of immunity and have no side effects. Our Ayurvedic Health services are famous for its quality and results, as we are supported by our own highly skilled and qualified manpower and GMP (Good Manufacturing Process) certified production units. Our centers are recognized for maintaining impeccable hygiene and customer satisfaction by providing the best possible treatments and services. Government of Kerala, India has awarded us with the Green Leaf Certification (The Highest Level of Classification for Ayurveda Centers) and considered our resort as the model for an ideal Ayurvedic Health Resort. We have thirty franchises world wide ranging from Ayurvedic Centers to Wellness Spa and we are expanding organically. This is due to fact that the Luxury Spa Franchise industry is booming, the number of people interested to operate Spa’s have increased day by day. Wellness Spa Franchise operators have been incorporating Ayurvedic treatments in their menu to get optimized returns. It is with great pride we can introduce Kairali as an internationally acclaimed brand which has helped all its associates achieve their financial goals & help to build a strong presence in the market. 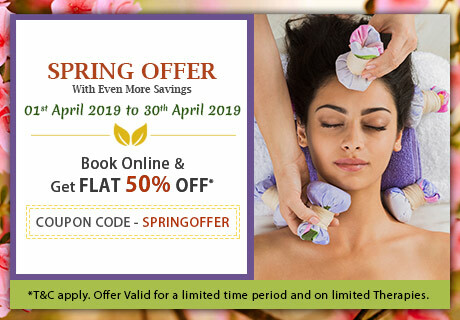 Kairali Ayurveda Spa Franchise Scheme is an exclusive service program providing support to various entrepreneurs to start an Ayurvedic Treatment Center, Wellness Spa or Luxury Spa. Leadership Constant improvement and rigorous polishing of our skills makes us a leader in Ayurveda. Kairali group has been serving for the last 8 decades and created a niche in the field of Ayurveda & aspires to render the same to its associates. Experience Sharing experience makes one well versed with even new things. Our in house well qualified experts are always there to guide you through at any point of time and delve the same expertise to your clientele to carve your own niche in domain falling under your way. Research & Development R & D is an ongoing process at Kairali. We even develop educational materials to educate franchisees and guests on the benefits of spa services and products. We constantly evaluate and upgrade our existing products and services to keep up with the demands of ever changing market. Dual Income Benefits Our associates would get dual income options by providing Ayurvedic treatments to their clientele and selling our GMP (Good Manufacturing Practices) certified Ayurvedic Products as and when demanded by them. Technical Support : we at Kairali Manufacture all our equipment & also offer services in setting up the entire treatment centre. Hence can provide an end to end solution. Software Support Kairali will provide you with latest Spa software that would make the running of your spa a breeze. We offer wellness software where we could easily handle billing, inventory management, staff management, and book keeping purchasing, invoicing, case studies and much more. All this would be available at the click of a button and would help in performance analysis of a Spa. Marketing support We market not only for Kairali Group as an individual identity but for the whole group which includes all fully owned and franchise outlets. Our aggressive offline and online marketing team would impart secrets of Kairali and entrust the much needed impetus to your trade. Operational protocols Kairali would help you to chart Standard Operational Protocols for maximizing client comfort while minimizing confusions in Spa Operations. Staff support and training We provide well trained staffs to our associates right from therapists to qualified doctors at an optimized value. 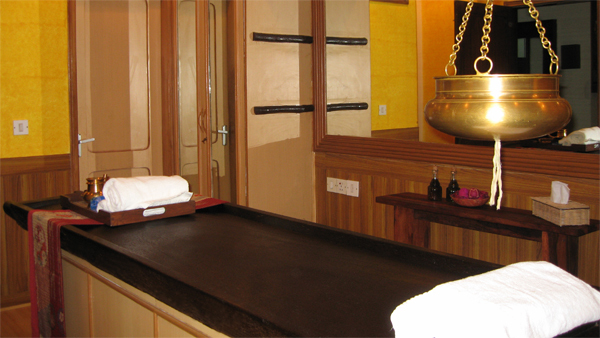 Spa Equipments Kairali Spa is famous for providing spa equipments specifically meant for Ayurveda and enhances the effect of Ayurveda therapy given to any individual in comparison to other spa using normal equipments at their centers. Design & Layout Kairali would provide an exquisite design for your interiors and ambiences that will take your guests breathe away. Our project consultants will plan the overall traditional yet rich feel of the place. The charges of the project consultants would be available on request.